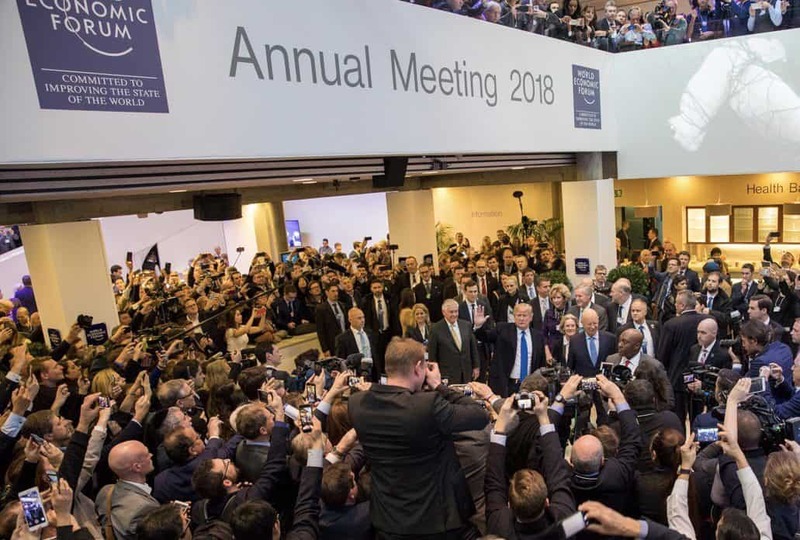 The World Economic Forum host an annual meeting of over 2,500 top business leaders, international political leaders, economists, celebrities and journalist every year in Davos, Switzerland. 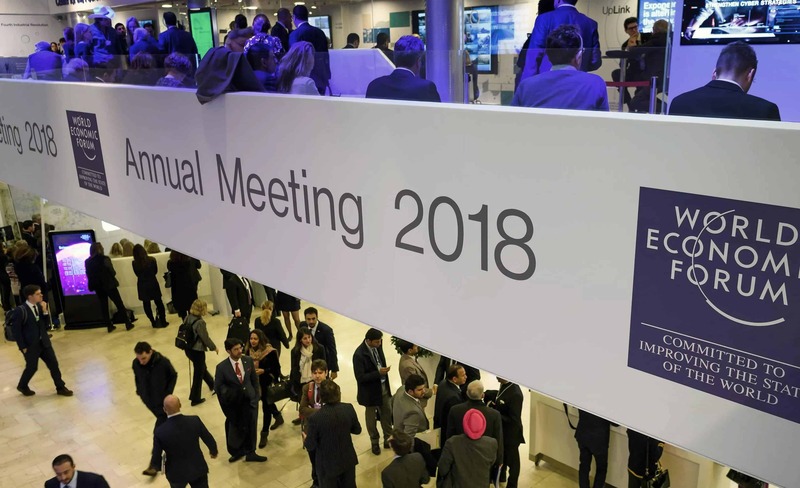 The flagship, invitation-only, annual meeting is held at the end of January and brings together chief executive officers, world leaders, representatives from academia, NGOs, religious leaders to discuss and debate key global issues. These include wealth management, globalisation, international conflicts, approaches to environmental problems. The theme for this year’s event was “Creating a Shared Future in a Fractured World” and it was attended by world leaders such as UK Prime Minister Theresa May, President of the United States of America Donald Trump, Prime Minister of Italy Emmanuel Macron, Chancellor of Germany Angela Merkel as well as celebrities like Cate Blanchett and Elton John. We are very proud that for the last three years our screens have been used at the event for information dissemination and wayfinding. At this year’s show, which took place last week, our flagship Android Freestanding Digital Posters were used in various locations to display welcome messages, timetables of events and broadcast targeted messages to the distinguished guests. 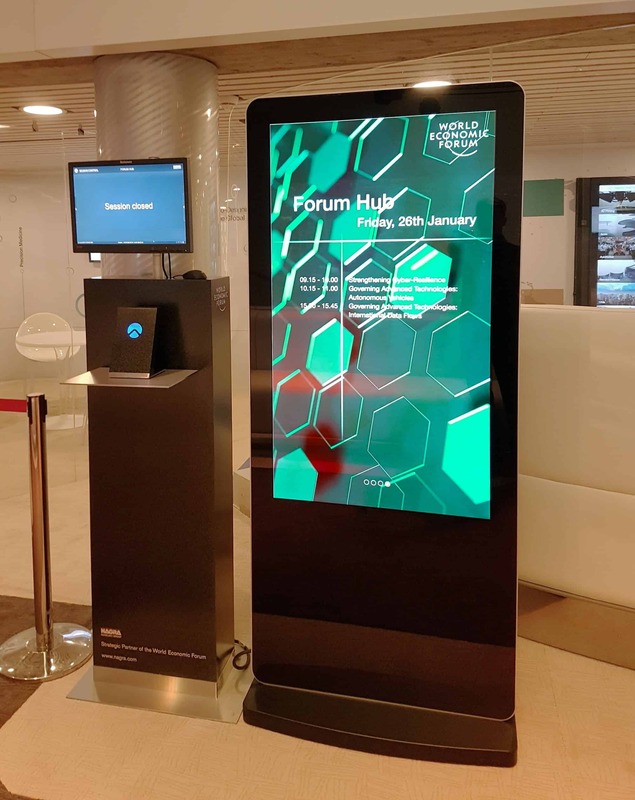 Portability was crucial for this event so the integrated castors of the Freestanding Digital Posters were very useful when moving the screen from one location to another. As the screens were being used to display full screen images and videos they could be updated using the simple plug and play USB method, thanks to their on board Android media player – for which we won the Queen’s Award for Enterprise in Innovation. 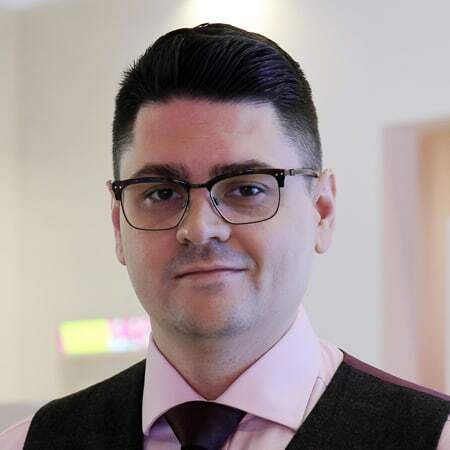 Thomas Fraser-Bacon is the Marketing Director for Allsee Technologies. His background is in Digital Signage and Product Design.